Raimo Heino has extensive experience as a naturopath and is a prominent figure in the natural healing arts in Sweden. He trained as a naturopath in Germany and started his natural medical practice in the early 70's. Later he studied medicine in Uppsala University,Sweden. He focused his research on the central nervous system and taught anatomy at the Faculty of Medicine at Uppsala University. In 1995, he received his Licentiate of Medicine degree. In addition to his activities as scientist and herbalist Raimo Heino formed a natural pharmaceutical company, Plantamed AB, where he used his practical and theoretical knowledge from both natural and conventional medicine to develop herbal and homeopathic remedies and dietary supplements. Over the years Raimo Heino trained tirelessly in medicine and the healing arts in Germany and Austria. 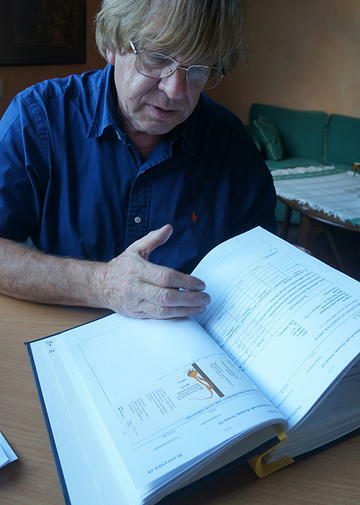 In 1999, he was awarded the ÖÄK-Diploma in “Complementary Medicine, Diagnostics and Therapy according to Dr. F.X.Mayr” by the Austrian Medical Chamber. Raimo Heino published Natural Physician's book (Naturläkarboken) in 1983, the New Natural Physician's book (Nya Naturläkarboken) in 1998 and Our Healing Plants Is A Natural Way To A Healthier Life (Våra Läkande Växter En Naturlig Väg Till Ett Friskare Liv) in 2001. Q: Can you tell us something about the name and history of Bräutigam's garlic juice? A: Bräutigam's Organic Garlic Juice was originally developed by a German chemist, Dr. E. Nahmacher. He created the formula in his 20's. He is now in his 90's. A Swedish company Scanfarma AB used to import the product from Germany as it was much in demand from homeopathic clinics in Sweden. But about 20 years ago the Germany company stopped production. It was then that Plantamed AB as a manufacturer took over production of Bräutigam's Garlic Juice. After Dr Nahmacher developed the garlic juice with his original recipe, the manufacturer in Germany had at one time changed the recipe. When I took over production, I realized there were two different formulas, and I became very curious. I called up Dr Nahmacher. He told me that the first original recipe created better quality product, while the second recipe was developed to simplify the production process. I decided to follow the original recipe. Q: What kind of nutrients does Bräutigam's garlic juice contain? A: Bräutigam's garlic juice contains a high amount of allicin for sure, but the health benefits from garlic are not just from allicin. Other compounds that are produced after allicin is broken down actually have the most bioactive effects of garlic. Q: How much allicin is released in one serving (1 Tbsp or 15ml) of Bräutigam's Organic Garlic Juice? A: We do not standardize our garlic juice since we want to keep the product as natural as possible and not use any artificial chemical, so we do not claim how much potential allicin each serving can provide. But I can tell you that one tablespoon (15ml) contains bioactive ingredients from about 3g of fresh garlic. Q: Why is the liquid form better than tablets or capsules? A: There are two strong reasons. The first is that garlic liquid has a long tradition in German medical history and its benefits are well-known and well-proven. Secondly, there are increasing studies and lab results showing that the biochemical properties of garlic are most stable and best preserved in the water liquid form. Q: How is Bräutigam's Organic Garlic Juice made? A: We make the juice in batches. In the past we have used supplies of garlic from organic farms in Europe. From 2013 we will be using certified organic garlic from a family-owned farm here in Sweden, next to our factory. The garlic will be more fresh than ever. Once we receive the garlic, we follow a unique method of delicate preparation laid down by Dr Nahmacher. The water we use is from a well on our premises. The garlic is cold-pressed into a purified garlic aqueous extract. After the extraction, the juice undergoes a specific process of fermentation that causes an increase in the bioavailability of the allicin and other beneficial compounds. When the process is complete, we begin filling the bottles on our own premises. Q: What is the difference between taking Bräutigam's garlic juice and eating raw garlic, or eating cooked garlic? 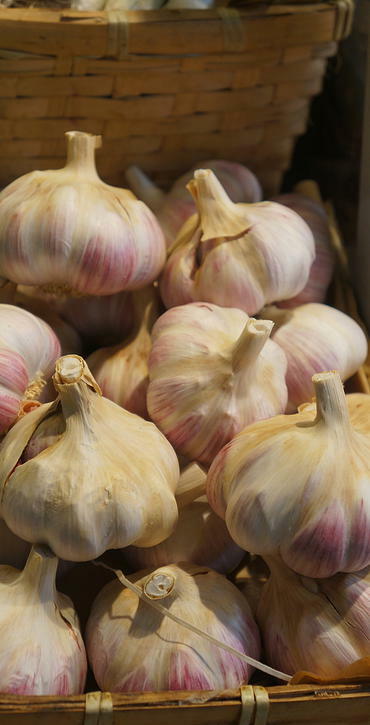 A: You need to chew raw garlic for 20 minutes to produce allicin, and you will have a burning sense in your mouth. The bioactive compounds in cooked garlic are destroyed by heat. Q: Is the allicin in the garlic juice safe from gastric acids? A: Liquid garlic extract, like water, passes through a stomach pocket into the intestines quickly, without being destroyed by gastric acids when you take it on a empty stomach. That is why we highly recommend that it be taken on an empty stomach. Bräutigam's garlic juice should be taken diluted in a glass of room temperature or lukewarm water so as not to irritate the stomach and the intestinal mucosa. The temperature of the juice should be as near our body temperature as possible, to help the liquid extract pass through the stomach quickly. Our stomach does not normally produce gastric acids at bedtime, which is why it is also best to take garlic juice at that time. The odor of the product will only occur if taken with food, when the liquid garlic is allowed to ferment in the intestines with other food. Q: How often should we take Bräutigam's Organic Garlic Juice? A: It is best to take 1 tablespoon diluted in lukewarm water once in the morning 20 minutes before breakfast and once in the evening just before bedtime, for one or two months. Then as a maintenance dosage, take one time daily, either morning or evening. When you have a cold, you should take half to one tablespoon (diluted in water) 3 to 5 times a day. You can also use the garlic juice diluted in some water to rinse the mouth when you have gum inflammation. Q: Is it safe to take Bräutigam's Organic Garlic Juice as a long-term dietary supplement? A: Yes. 70 years experience has shown that it is safe. Q: Are there any people with certain health conditions who should avoid taking garlic juice? A: People who are allergic to garlic should not take this product. Q: Does Bräutigam's garlic juice require refrigeration after being opened? A: Clinical results show that it does not require refrigeration. It is stable after being opened without refrigeration. But if you live in a hot climate, it will be better to keep it refrigerated after opening. Q: Is the plastic bottle suitable for recycling? A: Yes, the plastic bottle is recyclable, and it does not contain any harmful chemicals.